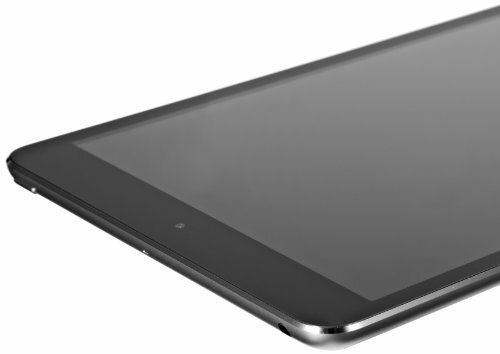 Galaxy Tab 3 8-inch is a bit better than the Apple iPad mini, with a overall score of 7.04 against 6.93. Galaxy Tab 3 8-inch works with Android 4.2.2 operating system, while Apple iPad mini comes with iOS 8.x operating system. Galaxy Tab 3 8-inch's construction is a bit heavier and just a bit thicker than the Apple iPad mini. The iPad mini has a slightly better display than Samsung Galaxy Tab 3 8-inch, although it has a bit lower display pixels density, a little bit lower 768 x 1024 resolution and a bit smaller display. 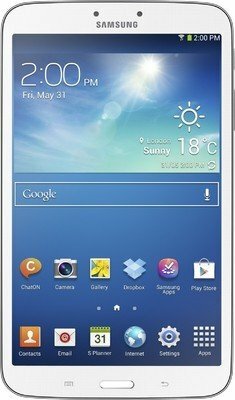 Samsung Galaxy Tab 3 8-inch features slightly more storage to install applications and games than iPad mini, because although it has just 16 GB internal storage capacity, it also counts with a SD extension slot that holds up to 64 GB. Galaxy Tab 3 8-inch has a better hardware performance than Apple iPad mini, and although they both have a Dual-Core CPU, the Galaxy Tab 3 8-inch also has 1 GB more RAM memory and a better graphics co-processor working at 1.06 gigahertz. IPad mini has just a little better battery lifetime than Galaxy Tab 3 8-inch, although it has just 4440mAh of battery capacity. The Apple iPad mini features a very superior camera than Galaxy Tab 3 8-inch, and although they both have a same resolution camera, the Apple iPad mini also has a way better (Full HD) video definition. The Galaxy Tab 3 8-inch not only is the best devices in our current comparisson, but it's also very cheap compared to the other devices, which makes it an obvious call.